The moniker “CSUN” has been used to refer to California State University, Northridge since the early 1970s. 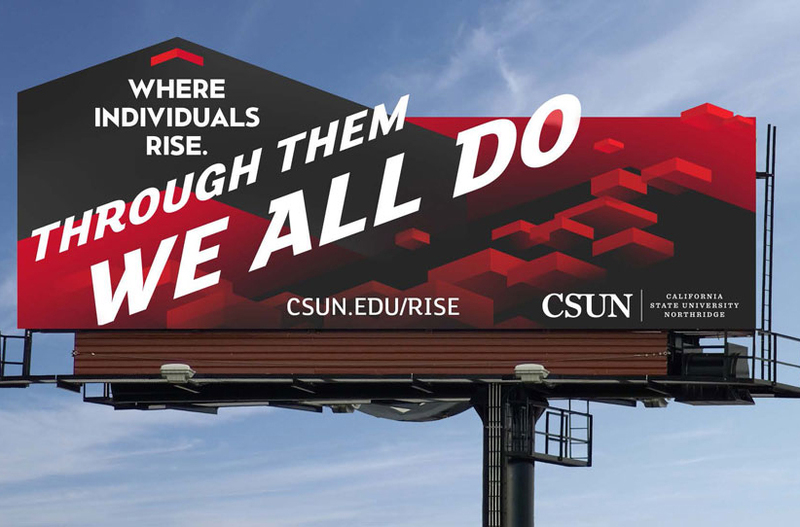 CSUN formally launched a new graphic identity that embraces that acronym and unveiled a new visibility campaign to elevate the university’s reputation and visibility. Read more about the campaign. More than 10,600 graduates will walk across the stage during commencement proceedings starting with Honors Convocation on May 15 and concluding on May 18 with the last of seven ceremonies that will launch these new CSUN alumni to new heights. Read about the Commencement celebration. Join other CSUN alumni attorneys for dinner, networking and MCLE guest speaker. Whether you are a student nearing graduation, an alumnus who just graduated from CSUN or an experienced professional, become an expert salary negotiator during this interactive online webinar. CSUN’s best student designers showed off their work at the 36th annual TRENDS Fashion Show.